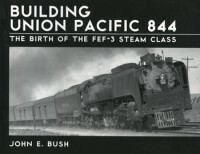 The Union Pacific Historical Society has added two new UP related books, not published by UPHS, to the UPHS Company Store. 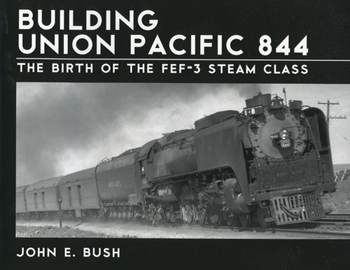 The first book is “Building Union Pacific 844, The Birth of the FEF-3 Steam Class” by John E. Bush. This book looks at newly-discovered information about the engine’s construction by the American Locomotive Company of Schenectady, N.Y., why it came to be built, and how it survived to become a “living legend” for Union Pacific. Includes 58 black & white illustrations. Cost: $19.95 plus shipping an handing. This book can be purchased here on at the UPHS Company Store. 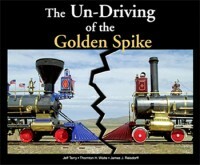 The second addition to the Company Store is “The Un-Driving of the Golden Spike” by Jeff Terry, Thorton H. Waite and James J. Reisdorff. This is the illustrated story of the un-driving of the Golden Spike in 1942 and the various personalities involved. It’s also the story of a century-long struggle to have America rediscover the significance of Promontory Summit, which culminated in the establishment of the Golden Spike National Historic Site. Includes 75 historic b&w photographs and one map. Cost: $24.95 plus shipping and handling. This book is available now at the UPHS Company Store.